Grow your business and become more profitable with latest and greatest products the industry has to offer. This month's Product Focus is the 2019 AHR Expo Innovation Award Winners. Learn more about these innovative products below. 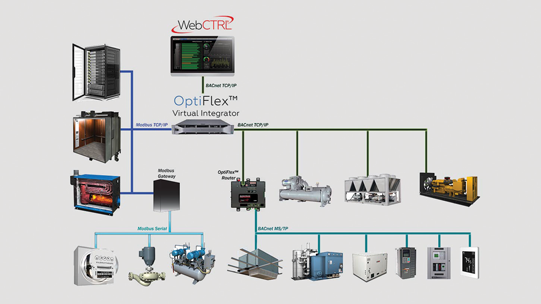 Automated Logic Corporation’s OptiFlex virtual integrator is a software-based integration platform for data monitoring across diverse building systems. OptiFlex provides scalable integration solutions ideal for large integration projects such as data centers, hospitals and college campuses. The virtual integrator supports up to 50,000 data points from a single computing point, eliminating the need for multiple hardware gateways. It supports BACnet IP and Modbus TCP/IP. YORK YZ Magnetic Bearing Centrifugal Chiller, a fully-optimized chiller, is built with next-generation low-global warming potential (GWP) refrigerant to increase energy efficiency. 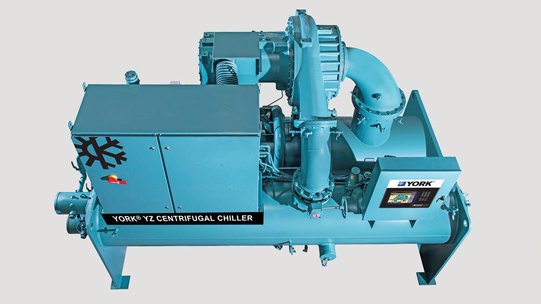 The YORK YZ provides centrifugal-chiller energy efficiencies as low as 0.1kW/ton, and less in off-design conditions where typical fixed-speed chillers experience performance issues. It has the potential to reduce annual electricity consumption by an average of 35 percent. 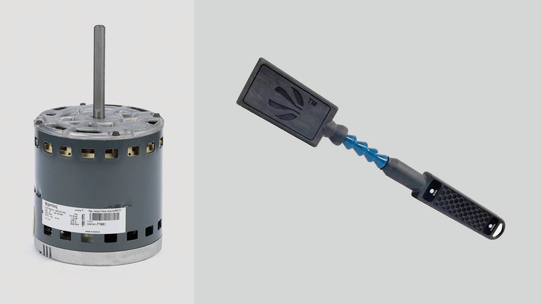 Regal’s Genteq Ensite motor, an electronically commutated motor specifically designed for furnace application, enables customers to comply with the U.S. Department of Energy’s (DOE) Fan Energy Rating (FER) regulatory requirements taking effect in July of 2019. 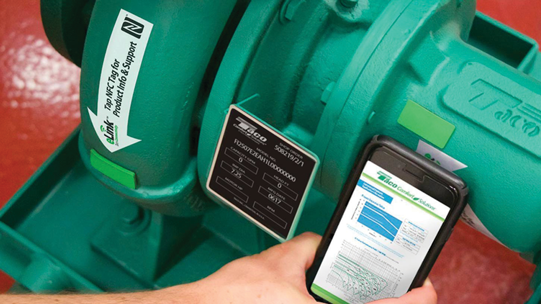 The Genteq Ensite motor is a cost-efficient solution to achieving compliance without compromising on premium features that support Internet of Things (IoT) and preventive maintenance. 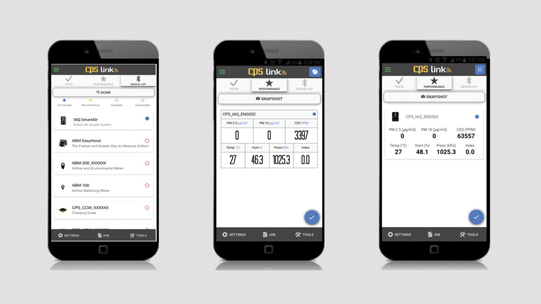 CPS Products’ IAQ SmartAir is a smart tool used for identifying, diagnosing and solving IAQ issues. This tool is designed to diagnose more accurate true read indoor air quality issues, improve sales and enhance overall IAQ professional expertise. Its design walks professionals through the measuring process and provides a compiled list of IAQ issues and potential solutions based on collected and analyzed data. The IAQ SmartAir connects to the internet via WiFi for remote monitoring. 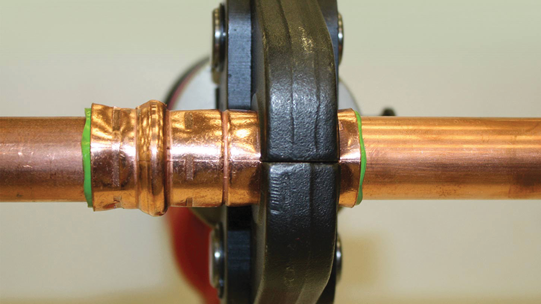 AnvilPress Copper, Copper Press Fittings and Coupling Systems are designed with patented Visual Indicator technology that provides 200 percent more sealing surface than typical fittings for leak prevention. The system is built with a double-fold sealing characteristic and a replaceable O-ring seal design that supports superior pressure and tensile performance. Its Visual Indicator and Burr-Stop membrane solve the top two causes of leaks: improperly pressed fittings and burrs on the tube. 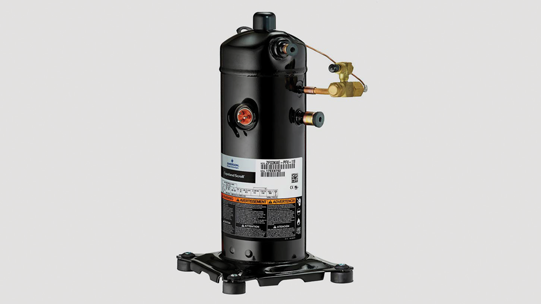 Emerson’s Copeland Scroll fractional-horsepower, low-temperature compressors use liquid injection technology and cooling discharge temperatures to reduce compressor stress and meet federal regulatory requirements. With offerings ranging from ¾ hp to 1 ½ hp, OEMs can combine certain compliance efforts into a single design cycle for smaller low-to-medium temperature applications that deliver high efficiency with reliable performance. Taco Tags featuring eLink is a cloud-based support program that provides users with a web-based, factory-maintained knowledge base on their mobile device via NFC technology. The Taco Tag is an IC chip and antenna wrapped in silicone designed to offer durability under the most extreme conditions of heat and weather. It works using power from a user’s devices, eliminating the need for wires or external batteries. Each tag provides direct access to customer support. 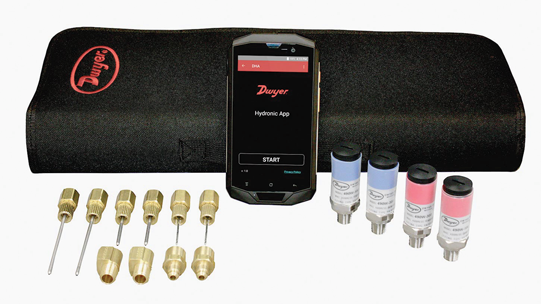 Dwyer Instruments’ Wireless Hydronic Balancing Kit, Series 490W, is a manometer designed to provide accurate and easy operation for HVAC professionals. The kit measures the pressure drop across HVAC balancing valves by using wireless sensors, a versatile handheld device and Bluetooth communication. Users can select valves for measurement from a predetermined list or through manual input of CV values. The handheld device monitors the flow of up to three valves at a time. 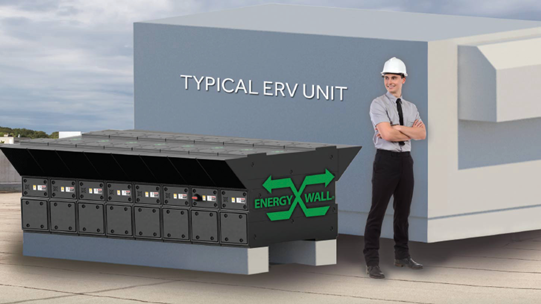 The Energy Wall Universal ERV (U-ERV) is an energy recovery ventilator that is three times smaller and lighter than current technologies available on the market. It weighs only 90 pounds, allowing for easy installation of the fully-functional, independent system. 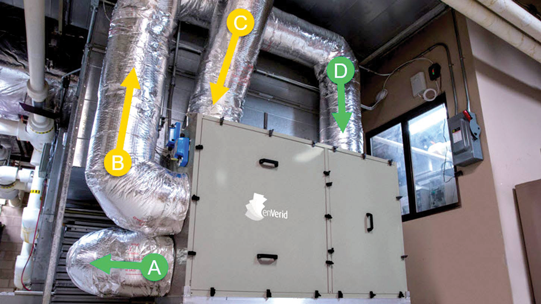 A small footprint allows the modules to be hand-carried and assembled on site, where they operate with a single duct connection and point-of-power and control. This provides redundancy for mission-critical facilities.